Isnt bed leveling with a sensor supost to give perfect first layer height. G1 Z5 F200 ; Lower bed. Excuse the Bltouch comments I removed it from my printer since it was always giving me inconsistent z heights and massive variations in the heightmap. With the bltouch i had to continues change the G92 height. With the new sensor I barely touch this code. you still need to adjust the z trigger height for the sensor in the g31 command? i think your probe is an inductive one mounted near the tip of the hot end? So you need to measure somehow the distance in x and y between the probe and the tip, and put these in the g31 line. Similarly for Z I think they trigger about 5-8mm above a 2mm steel plate, so you'll need to work out how far the tip is from the bed when yours first triggers. That will depend on where it is mounted relative to the tip and what your bed is made of. This info goes in the g31 line for the z value. When you have these numbers set correctly and home, you should be able to put the tip at z=0 somewhere over the bed and just slip a sheet of paper between the tip and the bed. I hope that helps, maybe search some more online for how to configure am inductive probe. "You can sync the motors automatically if the E1 motor output is free. See https://duet3d.dozuki.com/Wiki/Bed_leve … t_Z_motors." I know this is refering to bed levelling using seperate motors. configuring the z offset and all the other details haven't worked well for me. I am considering the following settup where I do the following "On a printer which uses two or more Z motors to raise/lower gantry, you can have the firmware probe the bed and adjust the motors individually to !eliminate tilt!. This feature is implemented in firmware version 1.19 and later." ran through bed levelling using the leadscrew adjustment way i.e. g32 and the first is working out really well, just need to add a few more points. is the g32 commanr how marlin does it? Did the bed leveling on an actual print, some of the smoosh is still uneven. Also played with working out the z height offset which gave variations ranging from 0.0056 to 0.0060.
when the first layer is laid down the unevennes is still there. If the bed is flat, and so is the surface that the nozzle draws as it moves in the XY plane (i.e the gantry isn't bent and doesn't sag), then bed levelling using G31 and bed.g is all you need. Whereas if the bed is significantly non-flat or the gantry sags under the weight of the hot end, you may need to use mesh bed compensation too. ok alot has changed, brought a flexible build sheet which works a charm and brought magnets n42 and n35 so that all bumps on the sheet are flush with the aluminium plate. to no avail the first layer is still not perfect. Love the hardware though it is just solid. G32 with independent leadscrew control will get the bed level. Bit it will not compensate for a bed that is not flat or a gantry that sags. Evidently you have this problem, so you need to use G29 mesh bed compensation. The advantage of running G32 bed levelling first is that you will need less mesh bed compensation. To answer an earlier question, yes you can use G32 bed levelling in your homeall.g and homez.g files. so would both features work at the same time and is there any gcode available to show that g32 is enabled. I know theres gcode to see if g29 is enabled. finally is there anything wrong with the code in the config files please help. Ok, I read this, which looks enticing. Mechanical sensors (FSR and other switches types) have offsets which may vary with the head position, especially on delta printers. The offset shall be adjusted for each probe point. For this purpose, it is practical to create a macro for each probe point , moving to this point: p0.g, p1.g, etc. 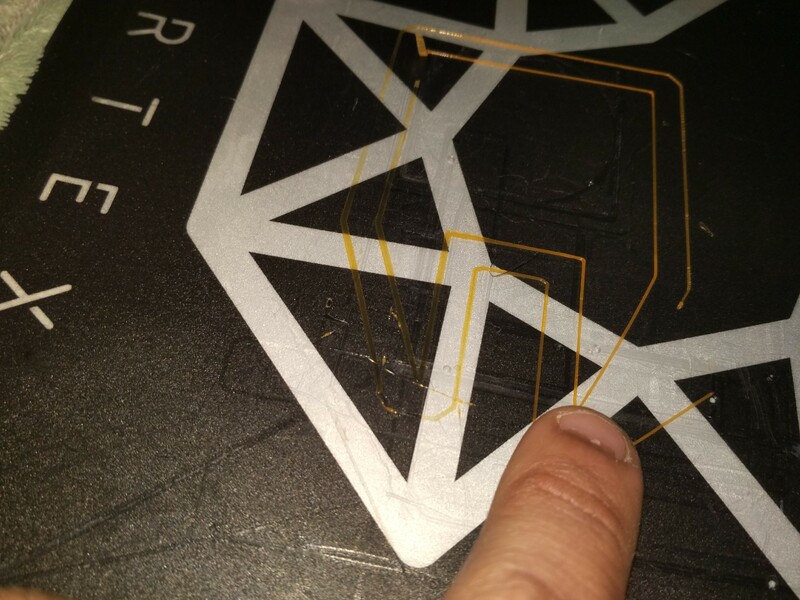 On delta printers, depending the sensor type, you may have more offset on the side than in center or the reverse (bed sensors like FSR have more offset in the center while effector sensors have more offset on the sides). Bed, bed_report and p0.g to p6.g (or more) macros shall have same coordinates and be adjusted while you displace probing points, which may notably be needed if your bed surface is weared (as could occurred easily with BuildTak) or for a different usable diameter. Do at least 3 calibrations till you get consistent results. Execute M665 and note the reported parameters to modify your configuration file. Move to the calibration points with the P0 to P6 macros and lower the head manually atop a paper sheet till the paper sheet began to have difficulties to slide. Repeat for all the probe points, note the values on a paper. You shall then modify the H parameters in the bed.g file and reload this file on the SD card. Use web interface system panel (not macro panel) for that. 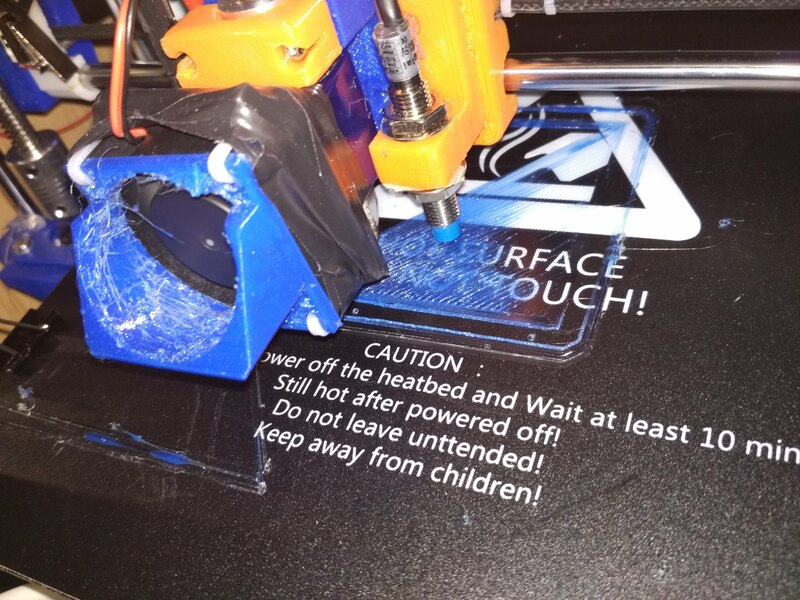 If using a ‘BuildTak’ surface, you should not ‘crush’ the filament on the surface and the resulting value while the paper begins not to slide should be within – 0.1~0,12 mm , so you should subtract 0,12 to lift up the hotend, say if offset is -0,25 while the paper is sliding at exactly 0, you should set -0,36. After adjustment of H parameters in bed.g, modify the bed_report.g with same values, then reload bed_report.g on the SD card and run the macro. If your paper report is neat, but the results of the calibration and bed_reports shows differences, that means that your bed is not flat. What counts is the paper measure, not the calibration result, so do not cheat by modifying the H parameter to obtain a very low calibration value. Note that all macros could be run after being loaded on the SD card, without rebooting or restarting. is there any way of factory this in for when i run g32. for various points i probe. PS the new forum looks wicked, i wonder if it has IRC for on the spot community support. A diode won't help. Is the trigger height at a fixed XY location consistent? yes the xy points are consistent no bending or sagging. the bed aka y axis is bolted down at its tightest point. I've had very similar issue with my NPN capacitive probe, never got it solve. 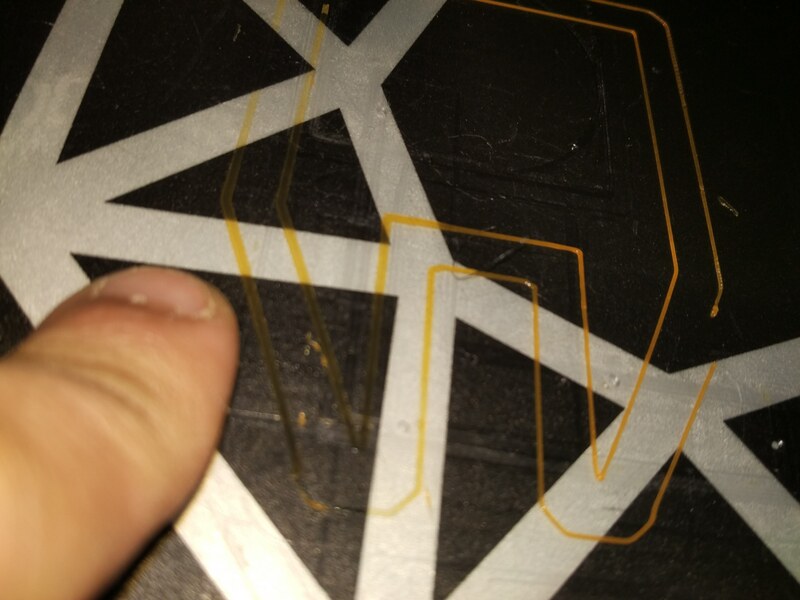 Ended up switching to an IR probe and now getting very consistent first layers. 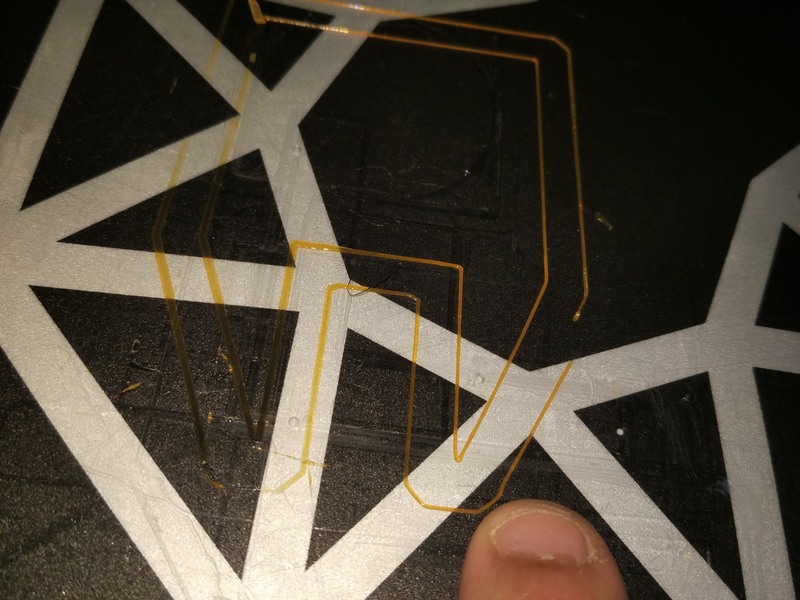 Oddly enough the capacitive probe worked perfectly on my CR-10's stock board.